“Before” scenario, where few resilience actions had been pursued; (2) the “Current and Proposed Plans” scenario, where stakeholders are pursuing a variety of independent resilience actions, including adopted plans and strategies; and (3) the “Estuary Commons” scenario, based on the collaborative and comprehensive design vision. In consultation with agency and community representatives during the Design Phase of Resilient by Design, the team developed criteria, indicators, and metrics associated with each bottom line. The criteria and indicators correspond to issues of importance to local stakeholders. It is designed as a dynamic, flexible framework that users can adapt as priorities, realities, and risks change. 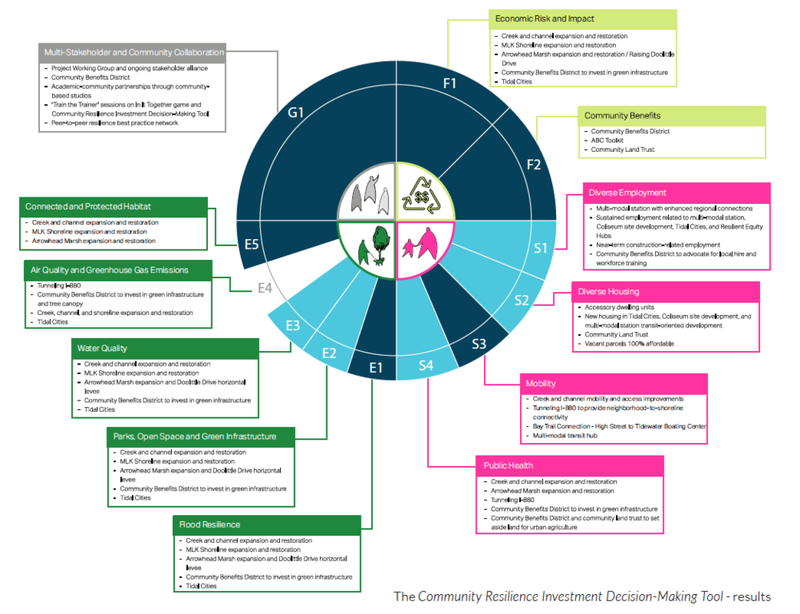 Use the community resilience investment decision making tool.